For all of the attention observers have paid to efforts by Beijing to impose political discipline on Communist party members—from fighting graft to demanding loyalty in the ranks—local efforts by cadres to address local problems have received little attention. Historically, cadres and government officials usually have three choices--at least where local problems are concerned. The first choice is to simply abide by what Beijing wants—especially when Beijing wants all lower-levels to go along with a campaign that the leadership initiated. Such is the ongoing anticorruption crusade; it was also the case with a crackdown on religious cults, and other draconian campaigns that are really designed to centralize authority and to remind cadres to take orders instead of initiative. The second avenue is for cadres to apply generally what the central government commands, but interpret the directive in light of local conditions. That approach sometimes meets with approval, if the decree from above empowers local officials to go along with a general effort to reform existing practices in some way and when Beijing isn’t too focused on ways and means. In other words, a measure of decentralization is allowed, to make sure that even if the local methods adopted might be different from intended, the end-result is what Beijing has ordered. So an edict to reduce student unemployment might involve sending graduates out to assist with a harvest where earlier that event was the responsibility of farmers solely. Quotas issued to local levels for a certain number of criminal suspects to be apprehended is another example—or, in an earlier time, identifying counter-revolutionaries or Rightists. There's nominal agreement, and it's often about numbers. The third avenue is what a few districts in Nanjing are doing now: taking a slogan or two appearing in Beijing’s playbook and being innovative in interpreting and implementing particular catchwords—not to please the central leadership per se but to seek to solve real problems as Nanjing officials see them. And because daily problems need solving. Party media has often highlighted what they refer to as “the last kilometer problem” [最后一公里问题] –the inability (or unwillingness) of cadres to connect with the masses, especially those who are not urban dwellers or exist on the margins of society, geographically or otherwise. Officials have been too focused on economic development, personal promotion, impressing visiting leaders from higher echelons--all the while, streets go unbuilt or unpaved, sewer systems and water infrastructure left to crumble, and economic development itself creates a whole host of problems (often environmental) that are simply treated as the unavoidable social fallout of local progress. For a number of years, Beijing’s response was to push cadres to get out to the urban outskirts or the countryside to visit residents who simply weren’t responding to its campaigns and having them explained. Various experiments, including “pocket cadres”, were tried without much result, in large part because there wasn’t much follow-up—part of the problem of the “policy as faucet” approach in China, turn something on and then turn that something off. Experiments might have been innovate, but they ended up being unsupported and therefore unsustainable. Nanjing’s current effort is from the bottom-up: actually, from the grassroots to the grassroots. It’s not explaining directives so much as espousing care and concern for residents, and identifying problems that escaped attention. Of course, the sincerity part of the mission is part of the portfolio of Chinese leaders on inspection tours, such as the one by Party Chairman Xi Jinping to Heilongjiang recently. 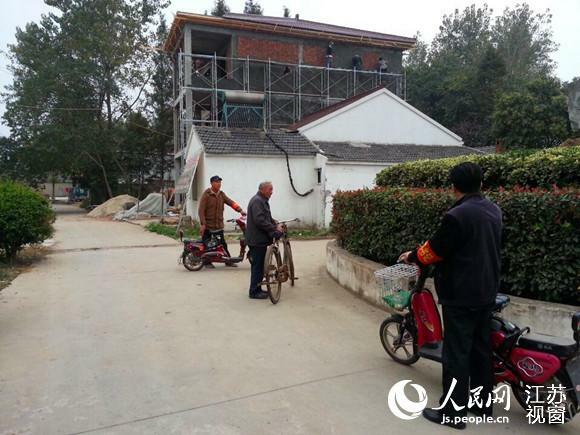 But the experiments in Nanjing are local, neighbor-to-neighbor efforts, conducted by so-called “One Week Secretaries”: These are older members in the party ranks, some of them retired, who rotate assignments and reach out to villagers to let them know that the Communist party is interested in their welfare, and wants to help solve problems. As described by local party media in Jiangsu, the approach has been a straightforward one that began in October 2015. For example, the Organization Department in the Qixia district of Nanjing assigned 39 party members to participate in the program, divided into groups of three people, with a term assignment of one week. (That number has recently grown to 104 cadres.) These “One Week Secretaries” meet with villagers every morning, then follow up with inspectors in these same villagers to hear of their challenges and determine the correspondence between complaints heard earlier in the day to problems that village officials identified. An additional cadre was often assigned as a floating troubleshooter, someone who “could intervene more quickly, to deal with a specific problem” of pressing importance--something that could be solved and needed to be. 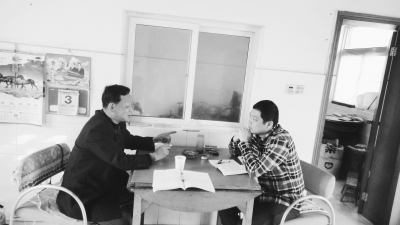 One party member, surnamed Chen and 66 years old, said that, in a village of 3700 people on the Dongjiang River in the district, he discovered problems: “There was garbage everywhere and the traffic situation caused great inconvenience.” After studying the situation, according to the account in Nanjing Daily, Chen was able to get money to repair and reposition the roads, reinforce the bridges, and construct roadside parking spaces to ease the traffic flow. Chen wasn't from Beijing, but from the area. He wasn't freelancing, nor was he using backchannels. Chen had time and clout, as well as an assigned responsibility. Nor were these one-off efforts, according to the account. Each of the “One Week Secretaries” was “required to write a diary to record daily work and establish a ledger to facilitate inquiries.” There was a bulletin board posted in the village to record every week the tasks assigned and to track the progress made. Villagers could then use that information to go directly to the village committee to follow up, and the committee in turn was empowered to enlist hold the villagers themselves accountable, to participate in the solving of their own local problems. Apart from the practical solution proffered by these “One Week Secretaries”, there’s a psychological boost, at least according to other media reports. Not to the residents only, but to the party rank-and-file participating. The purpose is “to achieve a degree of regularization, enhance the sense of responsibility on the part of party members, and to provide a sense of belonging [to the local constituency].” In short, the program also imparts meaning and mission--primarily to older cadres, to be sure, but the lesson is clear for other officials whose neglect of their main job has led to the program to start with. The media reports of success with this project are recent; they likely reflect pressure from at least the provincial level (and very possibly above) to justify the initiative. It’s also likely that some of its sponsors would like to see the project extended and expanded, to include other areas of Jiangsu or beyond. And there may be other officials at higher levels who would like to see the same experiment applied to younger cadres because it seems to be working. At the same time, this is a project that illuminates the challenges that government officials confront in trying to address local concerns: Younger cadres seem to be looking more at promotion than policy; villagers feel neglected; and it’s left primarily to the old guard cadres to act because they’re not playing much of a role anyway. The “One Week Secretary” program is intriguing in conception and application, yet it’s also disquieting. For it’s clearly not only the constituents who are unsettled, but also the local cadres who are supposed to be governing them.